Who’s that girl with the long green ponytails you’ve been seeing everywhere? It’s Hatsune Miku, the Vocaloid—the synthesizer superstar who’s singing your song. Only you didn't know it. Dark Horse Comics’ first edition of Unofficial Hatsune Mix landed in the New York Times Manga Top 10 list and sold out of bookstores across the nation within the first month of release. She’s a global cybercelebrity and a cosplay favorite at conventions. Now Miku’s original illustrator, KEI, brings you Unofficial Hatsune Mix—an omnibus manga of the musical adventures (and misadventures) of Miku and her fellow Vocaloids Rin, Len, Luka, and more—in both beautiful black-and-white and charming color. Over 170,000 music videos have been uploaded to YouTube using Miku as the singer. Miku has appeared in ads from Toyota USA, Domino’s and most recently the Late Show with David Letterman. The second printing of Unofficial Hatsune Mix will be in comic shops November 19 and in bookstores December 2. Preorder your copy of this bestseller today. Full press release below. DARK HORSE’S UNOFFICIAL HATSUNE MIX: A NEW YORK TIMES BESTSELLER! First printing sold out; second printing in stores for holidays! FOR IMMEDIATE RELEASE: MILWAUKIE, OR—Who’s that girl with the long green ponytails you’ve been seeing everywhere? It’s Hatsune Miku, the Vocaloid—the synthesizer superstar who’s singing your song! Dark Horse Comics’ first edition of Unofficial Hatsune Mix landed in the New York Times Manga Top 10 list and sold out of bookstores across the nation within the first month of release! She’s a global cybercelebrity and a cosplay favorite at conventions. Now Miku’s original illustrator, KEI, brings you Unofficial Hatsune Mix—an omnibus manga of the musical adventures (and misadventures!) of Miku and her fellow Vocaloids Rin, Len, Luka, and more—in both beautiful black-and-white and charming color! Over 170,000 music videos have been uploaded to YouTube using Miku as the singer. Miku has appeared in ads from Toyota USA, Domino’s, and most recently the Late Show with David Letterman. 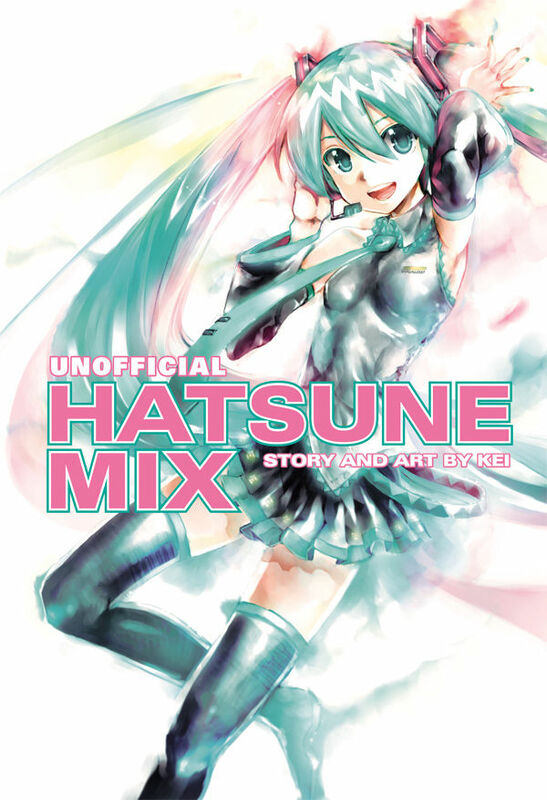 The second printing of Unofficial Hatsune Mix will be in comic shops November 19 and in bookstoresDecember 2! Preorder your copy of this bestseller today!